UNLEASH YOUR INNER GODDESS | Be REAL. Be RAW. Make Your Life AWESOME! I help women who feel like screaming, “IT’S TIME FOR ME!” – women who feel like the last priority in their own life, they are scared they aren’t enough, and they feel UNHEARD, UNWANTED, and rejected in relationships. In my “UNLEASH YOUR INNER GODDESS” program, I help them to know why it’s NECESSARY to take good care of themselves to be a good mom, a good friend, and a good partner. They learn how to feel CONFIDENT standing in their power, and how to create the love they really want where they feel heard, honored, and wanted. I notice the ways that people don’t fully show up. I notice how the cultural ideas and beliefs about gender and gender roles encourage us to hold back, ignore who we truly are, and I notice all the ways and times people don’t speak up for themselves, set boundaries and enforce those boundaries. One of my gifts is to feel the difference between when someone is talking and their story doesn’t resonate with who they truly are – I can feel the congruency when someone’s talking, thinking, and believing IS NOT in alignment with their Highest self, who spirit put them here to be. I feel it when people contract instead of speaking up or when they speak and don’t tell the whole truth and especially when they only tell the part of the story that they feel would be acceptable. Are you scared inside there is something wrong with you? Maybe you’re feeling overwhelmed because nothing seems to help your problems? 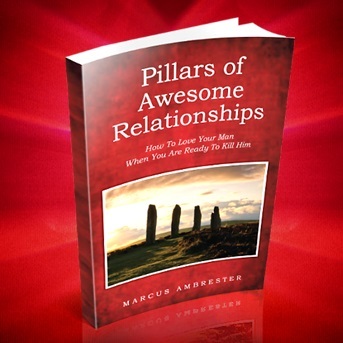 When clients first visit Therapist Marcus Ambrester, Author of Pillars of Awesome Relationships, people feel lost, as if their heart is shutting down. They may fear that something is wrong with them or that they are losing control of their lives. Whether you are looking for marriage counseling or individual counseling in Nashville, TN the unique focus on the present and what individual experiences are currently taking place. Even though it’s our past experiences, and how people have handled them, that determine how we handle current situations, our Nashville marriage counselors don’t always expect clients to sit and talk about their childhoods – something that many people in counseling dread. Most couples started off with an AWESOME connection with each other. Over time they feel like that connection has been lost or buried under a mountain of HURT, FRUSTRATION, ANGER, and RESENTMENT. Whether you’ve been together a few months or 30 years, you may be at that point where you love each other but you don’t know what to do to make it good again. When couples fight and fight, going round and round, about the same issues it’s time to find some new guidance. Marcus is that guide.